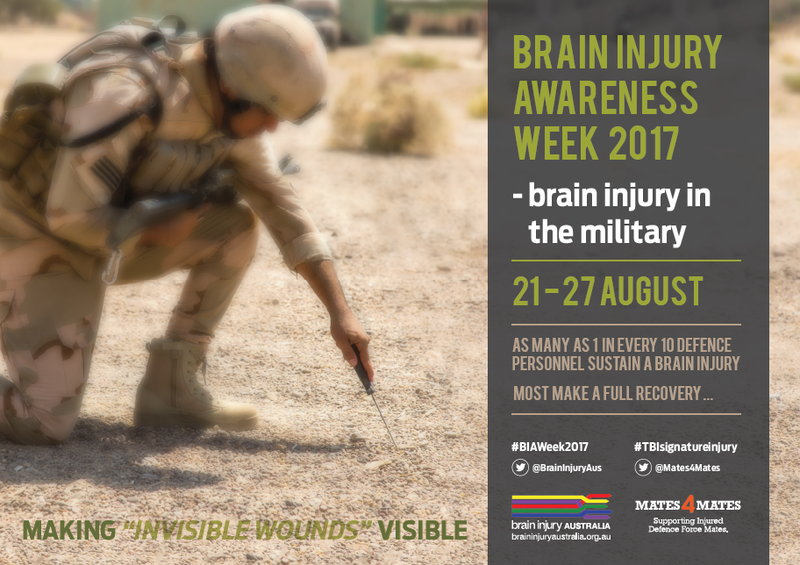 Brain Injury Australia and its partner, Ex-Service Organisation Mates4Mates, are honoured to introduce speakers to the national launch of 2017’s Brain Injury Awareness Week – devoted to brain injury in the military – to be held in Brisbane on Monday 21st August. The Week will be officially launched by Air-Vice Marshal Tracy Smart, AM, Commander Joint Health and Surgeon General Australian Defence Force. Major Andrew Cullen is a veteran of 17 years’ service in the Australian Army. Retiring as a Major in 2012, Major Cullen sustained multiple traumatic brain injuries during his 6 years’ service as a soldier in the Royal Australian Infantry and later as an Officer in the Royal Australian Engineers, focusing much of his career in Explosive Ordnance Disposal. Brain injury has been referred to as the “signature injury” of the wars in Iraq and Afghanistan. 1 in every 10 Australian Defence Force personnel who have served in the Middle East “reported the criteria for a new mild traumatic brain injury”. Major Cullen was awarded the Commendation for Distinguished Service for operations in Afghanistan. Air-Vice Marshal Smart joined the Air Force in 1985 and completed her medical training at the Flinders University of South Australia in 1987. 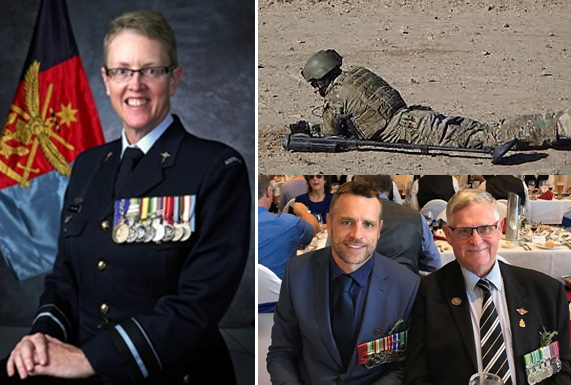 After completing Intern and Resident Medical Officer training at Adelaide hospitals, she commenced full time duty in the RAAF in January 1989, serving as a Medical Officer at RAAF bases Amberley (1989) and Pearce (1990), and Senior Medical Officer (SMO) at RAAF Pearce in 1991. Learn more about Air-Vice Marshal Smart here. Major Andy Cullen is a veteran of 17 years’ service in the Australian Army. Retiring as a Major in 2012 having served 6 years as a soldier in the Royal Australian Infantry and later as an Officer in the Royal Australian Engineers focusing much of his career in Explosive Ordnance Disposal. He was awarded the Commendation for Distinguished Service for operations in Afghanistan. Andy was diagnosed with Post-Traumatic Stress Disorder (PTSD) and sustained multiple traumatic brain injuries during deployments to Afghanistan. His wife, Zoe, was forced into the position of sole parent of their four young children. Andy’s condition worsened while he battled with a loss of identity and purpose following his retirement from the Army. He eventually ended up in a mental hospital falling into a dark depression that very nearly cost him his life, leaving Zoe to pick up the pieces of the broken family. Together they fought their way through the many challenges living with TBI and PTSD brings. The book they co-authored, Resurrected, gives a unique insight into the realities of war and its effects on marriage and family, their journey through the dark times, the fears and challenges that are very real for a couple and a family dealing with the stresses of war in Afghanistan and the different kind of war zone at home, that creates significant challenges in the lives of people who protect our country and what we stand for as a nation. Andy and Zoe are Ambassadors for Mates4Mates, proudly supporting Defence Force injured and their families.